For one of the world's wealthiest men, John Blair's home was humble. 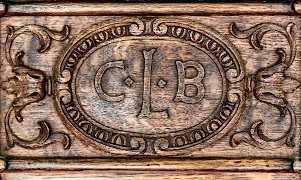 If ever C. Ledyard Blair sat on his granddaddy’s knee, it would have been in a plain two story white frame house with green blinds on a hill behind the post office in the town that bore his family’s name. The boy might have heard about the early days of the nineteenth century when his grandfather, John Insley Blair, began to make his way from the meager means of the farm where he was born on the banks of the Delaware River to prosperity that ranked him one of the world’s wealthiest men. But even as he lubricated the Industrial Revolution, building dozens of railroads and vast mining operations across the country, “Plain John I” (as his neighbors called him) never moved from his modest Blairstown home, managing his myriad financial and real estate interests from the village in Warren County that was renamed in his honor 175 years ago. Blair also made it his business to support worthy causes with a generous chunk of his $70 million fortune, worth more than $40 billion in today’s dollars. He funded various local civic projects, most prominently, the Blair Academy, and gave more than $5 million to several other educational institutions, including Lafayette College and Princeton University, as well to towns and churches along his railways across America. A year before his grandfather died in 1899, C. Ledyard Blair began the construction of a 62,000 square-foot, five-story Louis XIII style mansion atop a cropped hill in Somerset County. He had embarked upon financial tycoonery while still a senior at Princeton, joining his family in founding a New York investment banking firm, then expanding his influence as governor of the New York Stock Exchange and director of many corporations. 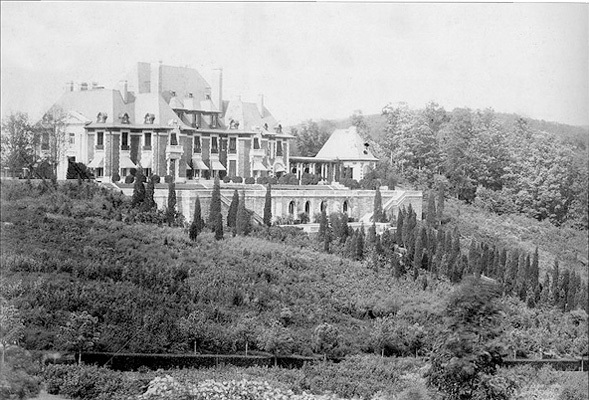 CLB’s lavish thirty-eight room home in Peapack, which he called Blairsden, was perhaps the most gilded of the Gilded Age; a star even among neighboring estates at Natirar, Vernon Manor, Windfall, Peachcroft, Upton Pyne, Shale, Blythewood, Cromwell, Honeyfield, Stronghold, and Faircourt. Most of these domains were respite for wealthy families based in New York City. 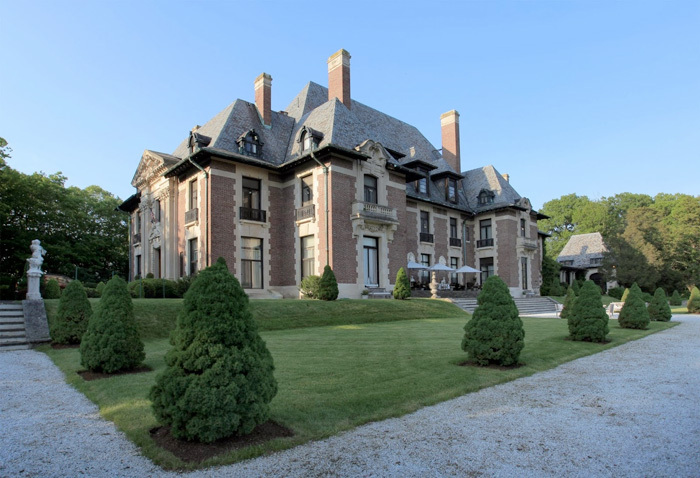 Although Blair also owned a Manhattan mansion, as well as homes in Newport and Bermuda, his Gladstone-Peapack estate represented a family fortune born and bred in New Jersey. 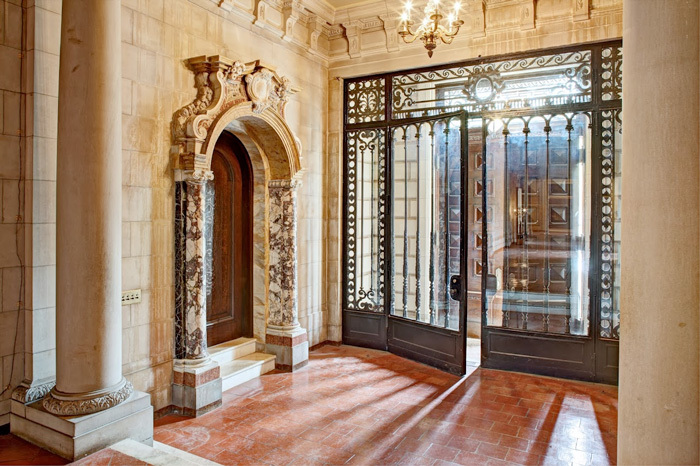 Designed by the architectural firm of John Merven Carrère and Thomas Hastings (New York Public Library), Blairsden was completed in 1903, with a carved limestone facade, twenty fireplaces carved in marble, gold-embossed leather walls in the billiard room, a double-spiral staircase, Turkish baths and squash and tennis courts in the basement. 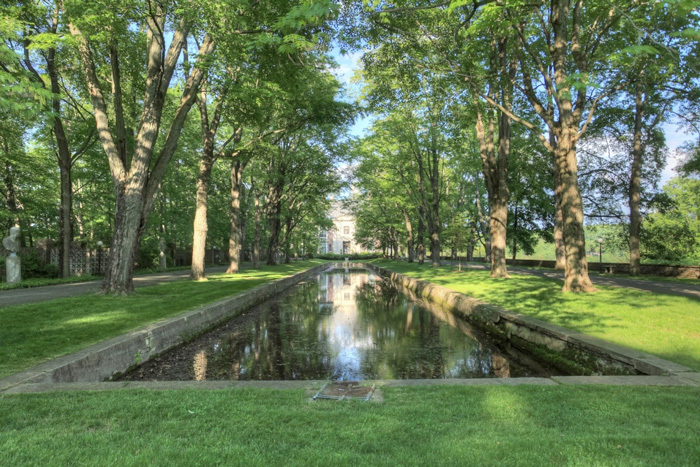 The chateau overlooked six-hundred acres that included the man-made Ravine Lake, borrowed from the North Branch of the Raritan River, 1,400 varieties of roses, fragrant linden trees, elaborate terraces, and a long reflecting pool lined with statues. Sixteen-horse teams hauled more than seventy-five full-grown trees up to sixty feet tall uprooted from other properties, and virtually every boxwood within fifty miles. Blairsden, circa 1903. There were actually orange and lemon citrus trees on the estate shown here. Find more photos and information from the Historical Society of the Somerset Hills. 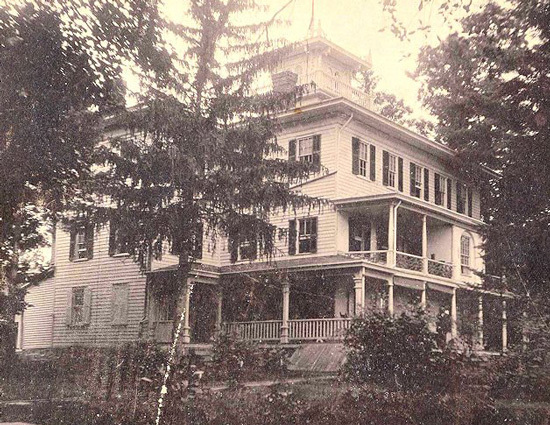 The year after C. Ledyard Blair died in 1949, Blairsden and fifty acres of property were sold to the Sisters of St. John the Baptist for an estimated $65,000. By the 1990s Blairsden had fallen to disuse and decay until it’s acquisition in 2002 by an entity called the Foundation for Classical Architecture, which has since made some progress towards restoring the house and grounds. This spring, Blairsden will be reintroduced to the public during the seventeenth biennial Mansion in May. Support from the Women's Association of Morristown Medical Center (WAMMC) has been essential to one of New Jersey's foremost hospitals since the organization was established in 1893 in support of a newly incorporated Morristown Memorial Hospital. Providing more than $700,000 annually for the Center, the WAMMC generates income from a very successful thrift shop, three hospital gift stores—and fundraising, ever flourishing in creativity and scope. 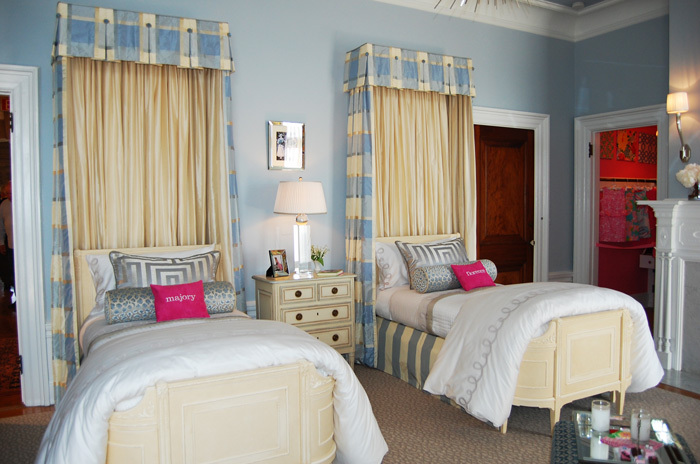 Since 1974, the organization's signature event has transformed sixteen of the most elegant and historic estate homes and mansions in Morris and Somerset Counties into breathtaking showhouses that have delighted thousands of visitors over the years. The month-long events, known as The Mansion in May, have raised over six million dollars in support of The Gagnon Heart Institute, Goryeb Children's Hospital, the Carol Simon Cancer Center, the Emergency Department and other departments at Morristown Medical Center. Proceeds from this year's seventeenth showcase at Blairsden will be directed toward the creation of an expanded Pediatric Intensive Care Unit and a new Autism Center at the Goryeb Children's Hospital at Morristown Medical Center. 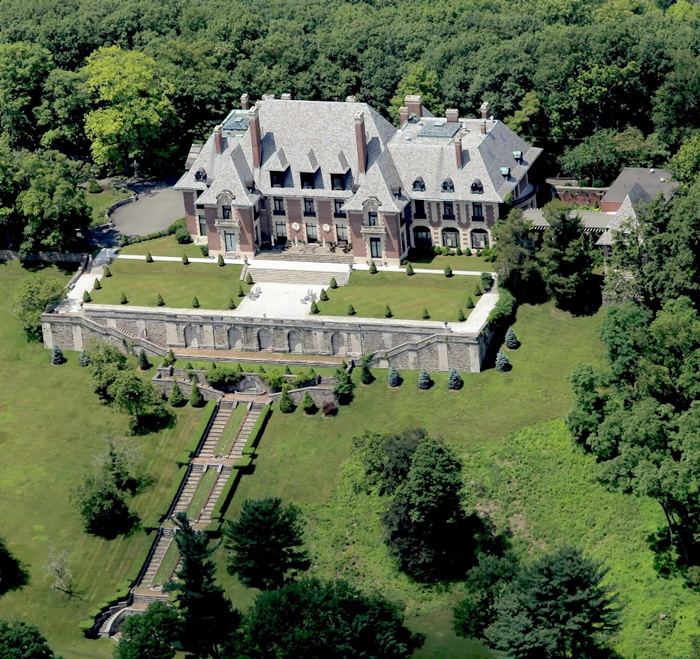 Blairsden is, by far, the largest structure undertaken by the Mansion In May Committee. Lay the building's 62,000 feet of floor space flat out and you have almost an acre and a half of space! As in past years, expert area designers will refresh a titanic, dinosaur-of-a-building, transforming its aged opulence into a gigantic work of art. Fifty-three rooms and public spaces, as well as a reinvigorated landscape, will inspire a month-long procession of visitors that will number well over 20,000. 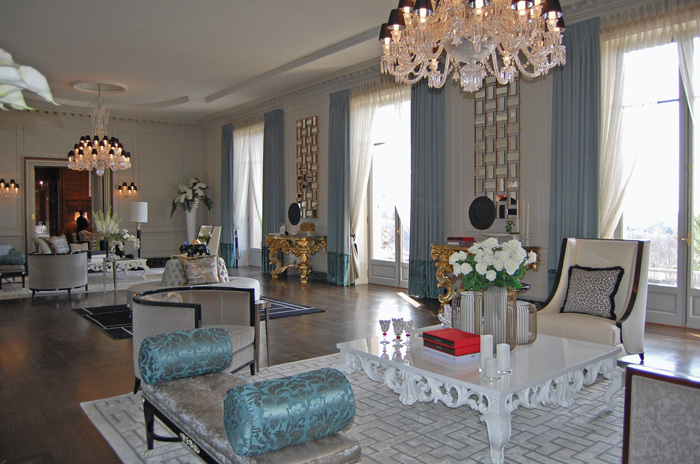 Designers are selected for the event based on their specific proposals for various rooms, hallways and closets. "Of course, most designers submit for the same popular spots, like large prime spaces on the first floor," says Cathy Bizcak, explaining the Design Committee's dilemma. "Our job is to decide which design is most suitable and workable for the house, and which designers we would like to have in our mansion. The job is quite overwhelming when you have eighty-five boards with fabrics, photos, drawings, paint chips, colors and descriptions spread out all over, and you have to choose one per space. Then we have to contact designers not chosen for prime spaces and see if they would be willing to transfer their design to another space or to completely start over in a new venue." The rigorous process assures that the area's top interior and landscape designers have been selected to breathe life into Blairsden this spring. 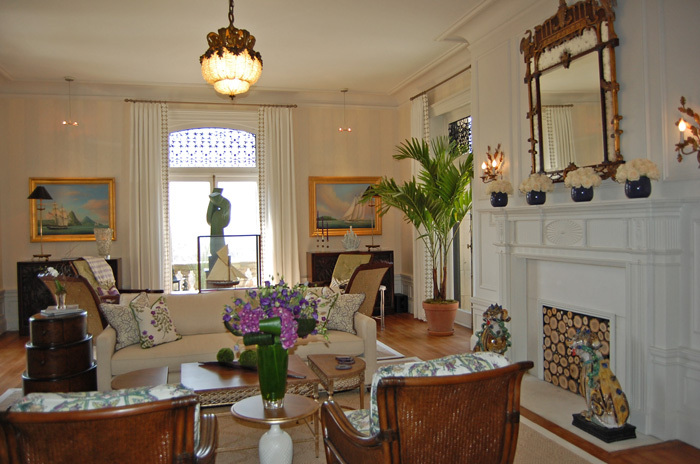 Each is assigned a space in which to exhibit the fullest expression of his or her craft; inimitable expressions of the finest American beauty and style, at home in a venue that represents a pinnacle in American prosperity. Don't miss it! The Mansion in May will be open from 10 a.m. to 3 p.m. every day in May. Tickets are $40, available online beginning Feb. 1 and at select retail locations beginning April 1. They will be $50 at the door and online during May. Private and Guided Tour Tickets are $100, which includes a $20 lunch voucher for the mansion Cafe. For more information check the website, call 973/971-8800 or email.